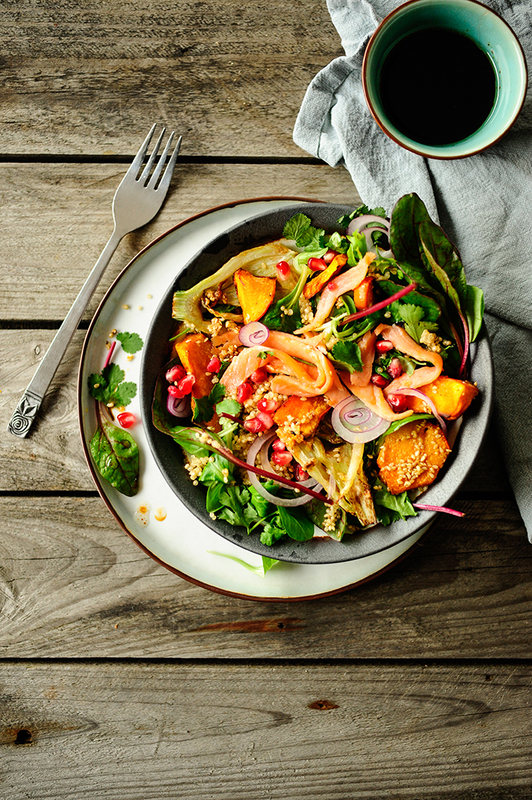 This salad is packed with flavors and colors and is just what we need to brighten up these winter days. It’s a simple dish with quinoa, grilled pumpkin and fennel. The combination of the Asian dressing with the warm smoked salmon is a winner, it makes the salad hearty and spicy. The perfect lunch! Place the pumpkin and fennel on a baking tin, sprinkle with sesame seeds, ginger and garlic. Pour the oil and season with salt and pepper. Put in the oven for 15 minutes. Then place the salmon on top and bake for 5 minutes more. Bring the water with the stock cube to a boil, add the quinoa and cook until tender. Combine all the ingredients for the Asian vinaigrette. 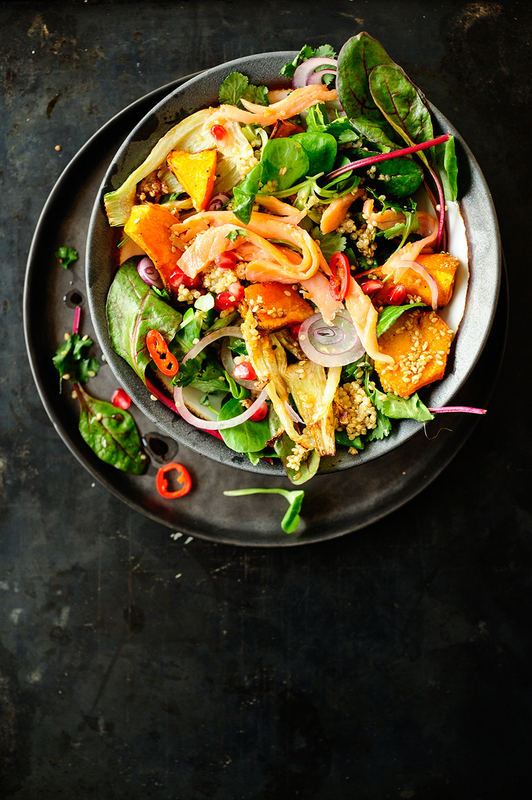 Arrange the salad on plates, toss with the cooked quinoa, grilled pumpkin, fennel and salmon. Garnish with onion, coriander leaves and pomegranate seeds. Serve topped with the vinaigrette. Enjoy!